Classrooms in the 21st Century should not be confined by its four walls. Technology allows teachers to create learning experiences for their students that enable them to be immersed in locations all over the world, all without leaving their school. These experiences bring learning to life, engaging and motivating our students to inquire and wonder about the world in which we live. We live in a world that is continuing to be flattened by the accessibility the internet and technology brings. As teachers, we converse with our students about locations and landmarks from all around the world. New technologies now enable teachers to further explore these destinations allowing students to gain a first hand perspective, deepening their understanding and learning. Google has created a variety of technologies that enhance teaching and learning by allowing students to explore and have experiences all around the world. Google Hangouts are fantastic. They are a free video call that allow students to connect with the community, classes around the world, and experts in any particular field. Google Hangouts on Air record your Google Hangout. These can be published to your YouTube channel as private, public or unlisted, the same settings as any uploaded video..
*Google Hangouts and Google Hangouts on Air have an age restriction of 13+. Younger students can still be involved, but need to be led by a teacher. 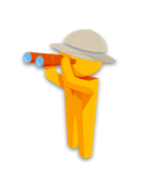 Google Maps has many features that can transform the learning occurring within the classroom. Students can explore satellite imagery, street maps and 360° panoramic views. By dragging and dropping the pegman onto the map it brings up the Street View function to be fully immersed in that location. Google MyMaps is now integrated in Google Drive. MyMaps allows students to create and share their maps with others. They can plot locations, add content, and measure distances anywhere in the world. The Google Art Project allows students to explore museums and galleries around the world. Students can make their way through galleries to look at specific art pieces in great detail. The Google Art Project is fantastic for topics linked to Geography, Art, History, or even for student creativity and imagination for writing stimulus. Teachers and students can create their own galleries and share these with others. Australian War Memorial – looking at history of ANZAC Day. Exploring who we are and looking at Self Portraits. 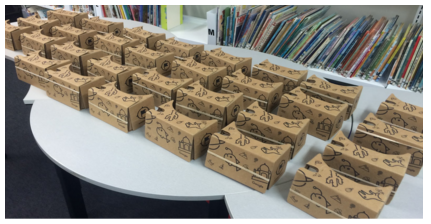 Google Cardboard and Virtual Reality is transforming classrooms. 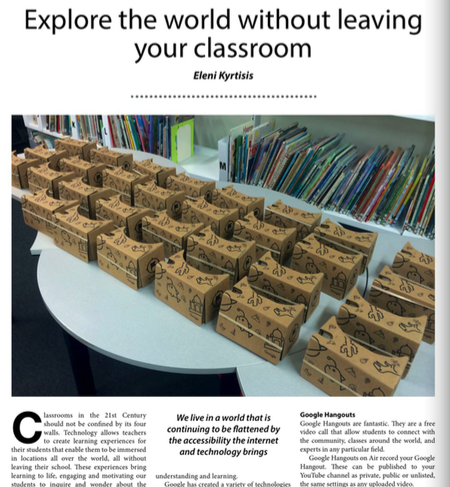 Google Cardboard enables 360° images from Google Maps and YouTube videos to be viewed in virtual reality, fully immersing students in a location. A device (phone) is placed inside the Google Cardboard that brings to life a variety of Apps (storytelling, games) available in the Google Play and iTunes store. Google Expeditions will be released in early 2016. 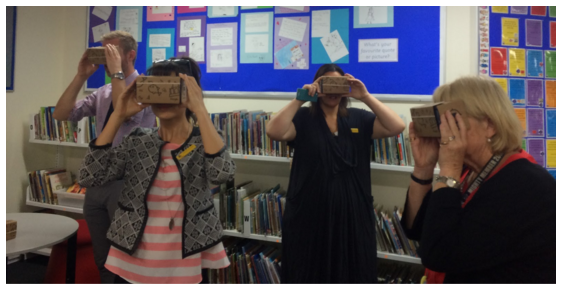 Google Expeditions allows teachers to take their students on excursions to over 100 locations around the world. Teachers can guide students to view specific features of the location from their controlling tablet, which has information to further deepen student understanding. My school was fortunate to be one of the first schools in the world to trial this pioneer program. The excitement and joy it brought to the students was amazing. Their questions and wonderings of explored locations enabled great discussions for future learning. Budgets and excursion expenses don’t have to stop us from allowing our students to explore the world in the 21st Century. These technologies are opening up a wealth of resources accessible to everyone. Teachers can confidently design their lessons incorporating these tools to give students authentic learning experiences. Really enjoy using Google Cardboard. Looking forward to attempting to use Google Hangouts more, but really enjoy seeing how it is used during TeachTechPlay. Great article, thanks Eleni.